Planet Mercury describes the thought processes and projection of viewpoint amongst all the signs. 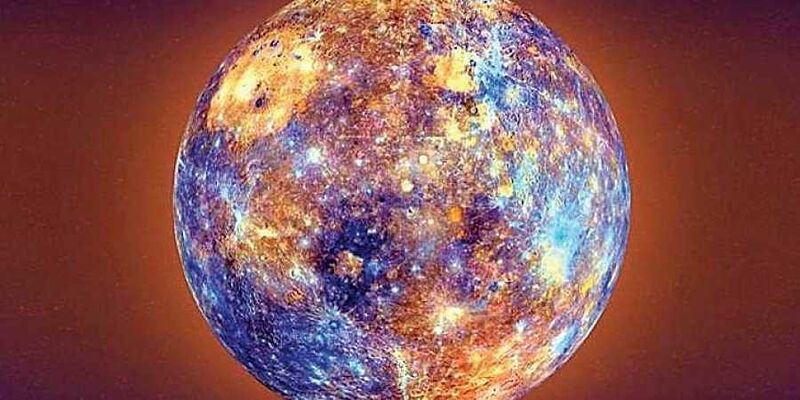 Planet Mercury describes the thought processes and projection of viewpoint amongst all the signs. Associated with its natural home ie, the third house of learning and communication, it is in sync with the general intellectual orientation and expression of one’s thoughts and ideas, along with their approach in life, either as a speedster or a slow pacer. Mercury’s presence in Taurus makes those under this sign possessing a patient and practical mind, with stable thought processes and conservative cognitive abilities. They tend to be good learners from their mistakes and instead of rushing into things, they put all their energy into rendering any answer and forming an opinion on the same. Taurus people are blessed with a mind full of business aptitude and hence are magnificent in dealing with financial matters. However, this at times also makes them stubborn as they refuse to alter their perception about a thing once it is projected in their mind in a certain way, nor do they appreciate any obvious and necessary opinion or conclusion on the same, especially if it crosses their own perspective. This form of intellectual obstinacy along with rigid opinionated views may disrupt their mental peace, thus it is advisory for them to be less rigid and more adaptable to others’ view point. professional manner. For them, the acquisition of education and technical skills is essential, as is the hold on their communication skills as well as analytical capabilities. The perfectionist within them makes them long for a degree of minute precision and accuracy, making them difficult to deal with at times. Also, this need of consistent re-assurance of events impacts their self-confidence. They should thus be cautious from being shy and withdrawn and be little less rigid on their need for perfectionism, for it may hamper their personal as well as social and professional life. Presence of Mercury in Capricorn creates a mind that is cautious and resourceful. Harbouring a thinking of methodical approach, they go step by step, analysing each situation that went by. Their speech is cautiously examined by them, logically choosing the correct word to be spoken. With planning and organisation skill as their strength, they work well on long projects that require perseverance and determination. Amidst their personality of being down to earth and practical thinking, it may turn them defensive, having a tendency towards moodiness and sulking. They have an image of being conscientious, quiet and less social. They need to be quicker to adapt in changing scenarios around them and should hold back on being too cautious and sceptical.